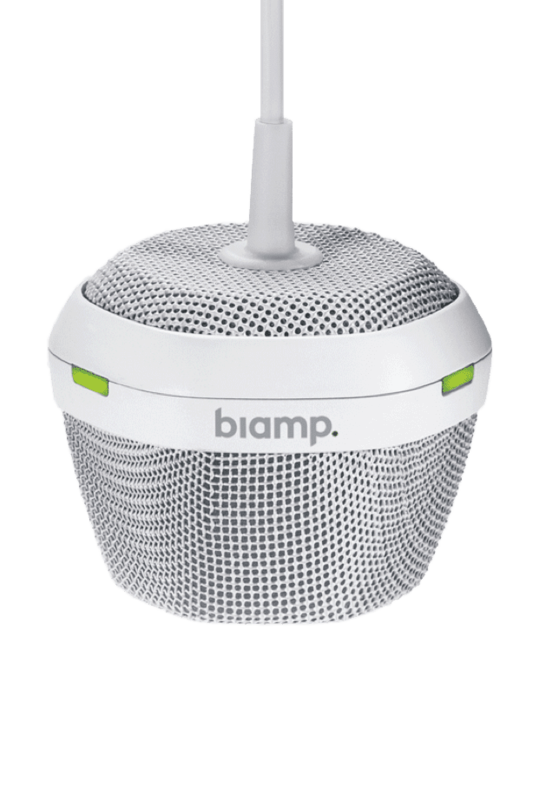 THE BIAMP. TCM-1 WITH BEAMTRACKING TECHNOLOGY. The innovative, easy to set up microphone that stays in one place, so you dont have to. The TCM-1 is an AVB ceiling microphone for use in Tesira systems. Comprising a pendant microphone and plenum box, each microphone includes beamtracking™ technology with three 120-degree zones, providing full 360-degree coverage of the meeting space. The TCM-1 microphone actively tracks and intelligently mixes conversations from around the table, allowing far-end conference participants to experience the conversation naturally. The Tesira TCM-1 comes with its own digital signal processing module for beamtracking, and each plenum box comes with an additional RJ-45 connector for daisy-chain connections. A maximum of three microphones are permitted per daisy chain (one TCM-1 or TCM-1A required, plus up to two TCM-1EX). The TCM-1 is well suited for a variety of room types and sizes that require high-quality audio solutions, such as conference rooms or council chambers. THE TCM-1 AND TCM-1A ARE IDEAL FOR ANY MEETING ROOM ENVIRONMENT. FROM SMALL HUDDLE SPACES TO LARGE CONFERENCE ROOMS, THE INCREDIBLE BEAMTRACKING TECHNOLOGY MAKES SURE YOU ARE ALWAYS HEARD, WHEREVER YOU ARE IN THE ROOM. AT POLAR, WE'VE PUT TOGTEHER THE PERFECT PACKAGE TO GET THE BEST OUT OF THE TCM-1 MICROPHONE. CHOOSE ON OF OUR TWO TCM-1 BUNDLES FOR THE COMPLETE PACKAGE AT A FANTASTIC PRICE. FREEDOM OF MOVEMENT. FREEDOM OF SPEECH. 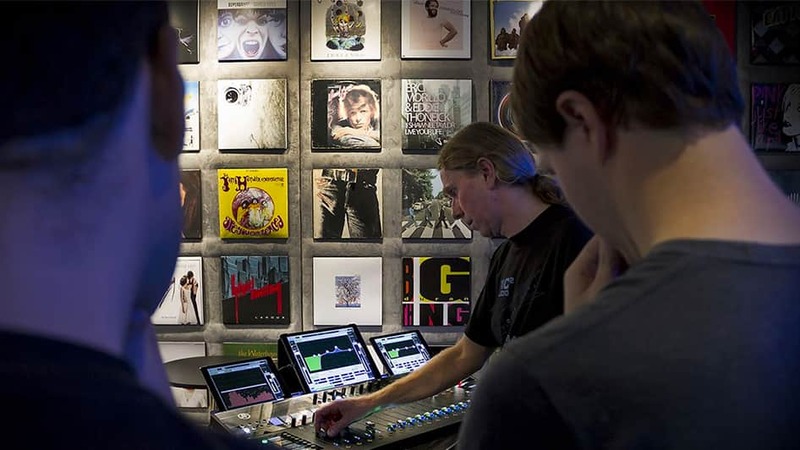 Keep up to date with the latest products from BIAMP and more? By ticking 'yes', you consent to joining the POLAR email mailing list with the information provided in this form. We'll NEVER share your personal details with anyone else, and you have the right to withdraw your registered information at anytime.